Independent work stations and automation systems integrate seamlessly into a production line — with powerful options no one else has. 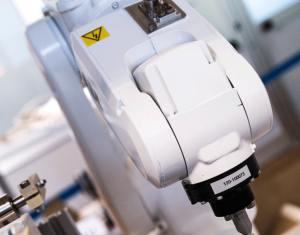 Independent semi-automated work stations and systems can be integrated in a production line in a multitude of ways. Starting from the basic magnetizers and magnetizing fixtures, we offer unmatched options and flexibility for creating a complete automation solution. Manual workstations are designed to deliver high quality and reliable operation. From simple to complex systems, each work station provides practical technology to get the job done while meeting the highest standards and safety requirements for magnetic applications.